In this powerful story, we meet Joseph who is a father at 13. We meet Jack, a farm boy who becomes more than a foster brother to Joseph. And we get to read how their relationship and the support Joseph gets from his foster parents allow Joseph to have a childhood, if even for a few months. As readers we know that the cover of a book draws us in and gives us our first impression of the story. For this primary source pairing, invite readers to compare and contrast two versions of the book cover for Orbiting Jupiter. Additionally, visit author Gary D. Schmidt’s website for a short interview with him about the book Orbiting Jupiter. What is your first impression when looking at the book cover? What do you see that connects with the story? What do you see that is not expected or different from the story? Which cover would draw you in as a reader? Why? Which book cover do you think best represents the story of Orbiting Jupiter? Why? Which book cover do you think Joseph would like best? Why? 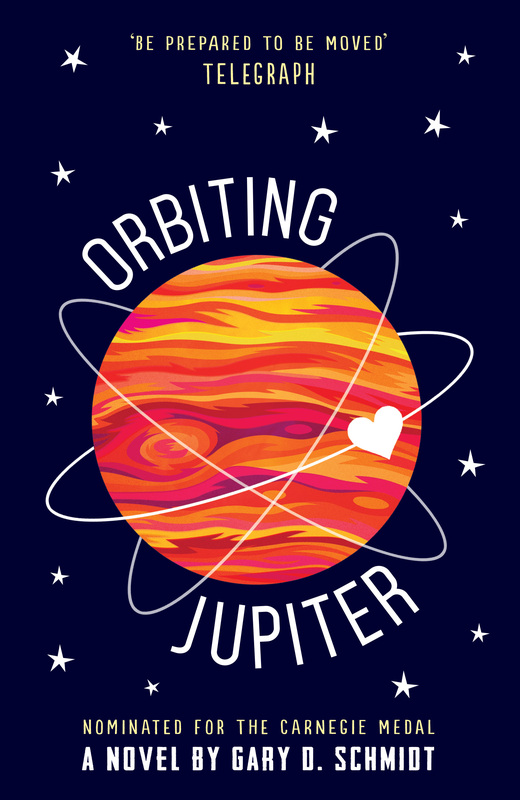 If you were to design a book cover for Orbiting Jupiter, what elements from the story would you include?